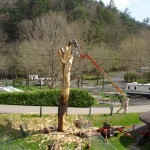 At our entrance, we had a pine tree that was approximately 150′ tall. 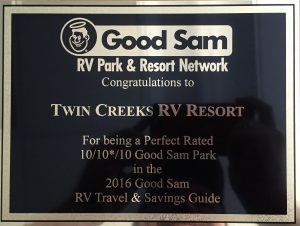 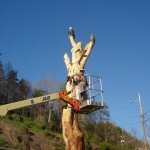 It was damaged by wind in 2008, and we had to remove several large limbs. 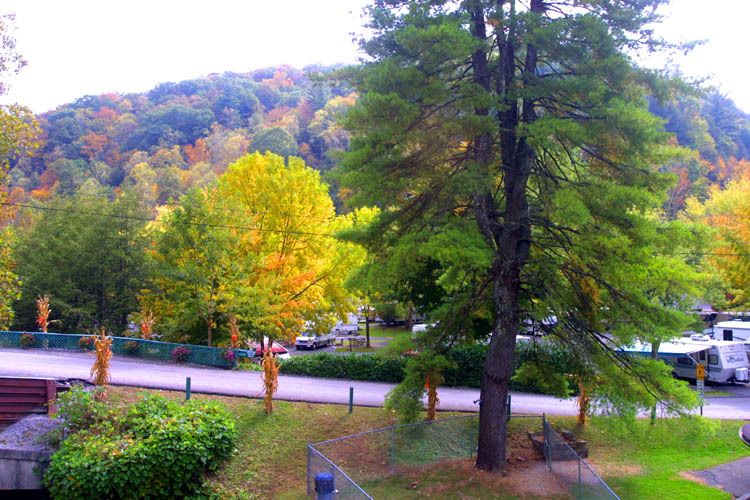 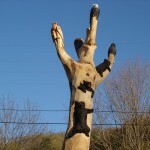 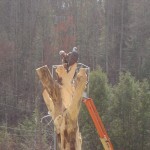 In January 2010, we had to remove the rest of the limbs for safety reasons. 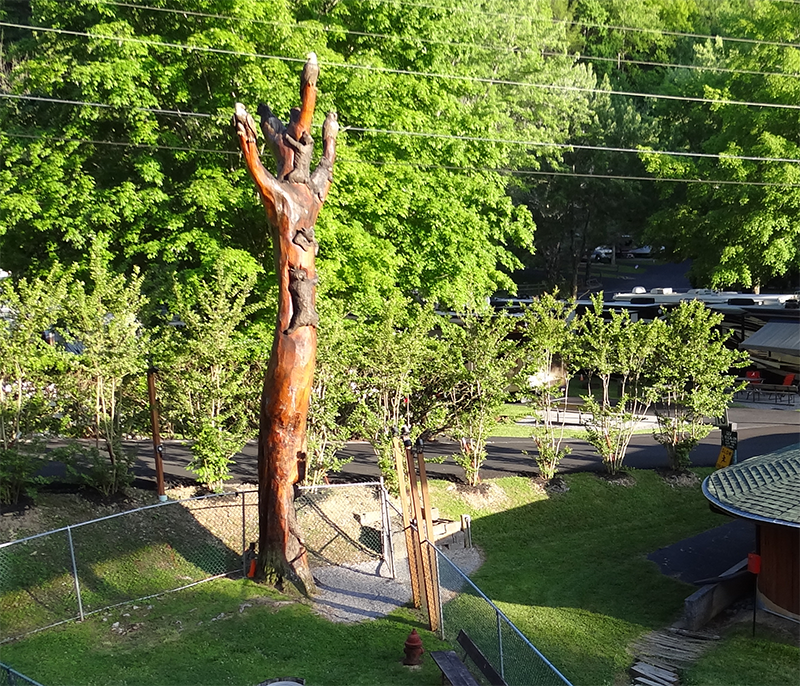 Because the tree had so much stature at our entrance, I had the tree topped by 32′ and worked with a local chain saw artist to make this huge pine into a work of art. 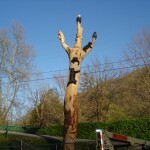 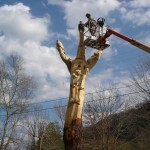 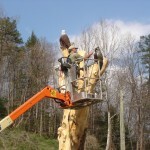 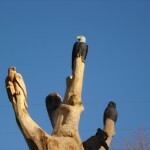 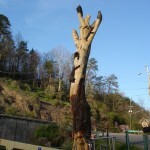 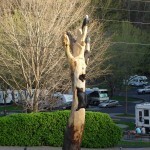 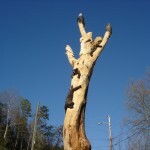 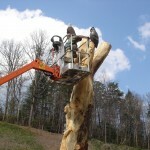 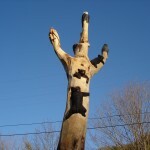 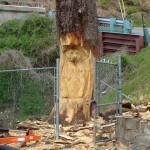 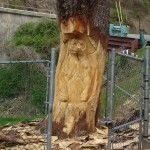 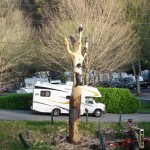 After 5 weeks of chain saw work in March of 2010, we have a true piece of art at our entrance. 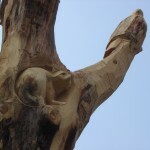 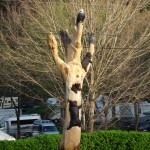 Each carving was cut out of the tree and still remains a part of the tree. 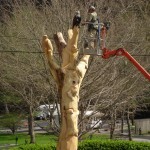 There are 10 individual carvings in the tree, and we are very pleased with the finished product. 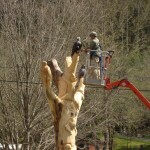 The local artist is Michael Copas here in Gatlinburg.